When it comes to choosing communication channels for customer support, companies have many options. Yet, a telephone remains the easiest and most direct means to respond to queries and solve problems. At present, very few companies decide in favor of hardware telephony systems. The majority prefers software-based solutions because they are cheaper and easier to use. If you want to establish software-based call center, this post is for you. The market is filled with call center software vendors and it can be hard to choose the right solution. That’s why you must spell out the needs of your business before picking call center software. Below are the factors you should mind. First thing you need to do is to determine what type of call center software will serve you best because not all of them are identical. Generally, there are four main call center software types: on-premise, hosted, browser-based, and cloud-based. The latter is the most popular, and not without the reason. However, some businesses might get a better use of another type. Do some research, compare the pros and cons, and try to estimate what solution will be better for your company. You’ll have to do many other things besides making or taking calls. That’s why it’s essential that the call center software of your choice can freely interact with other business systems. For example, you’ll definitely need to integrate a CRM, a help desk software, or maybe even some marketing tools. Integration is crucial because you can’t operate effectively in a vacuum, and you certainly can’t afford to disconnect from your customers. This one is all about the scalability the software provides. Purchasing call center software that will be able to handle only as much pressure as you have at the moment is a poor investment. Before you buy a product, ask yourself: is it flexible enough to provide a solid backup for your business in case you’ll need twice as many agents as you have now? You never know how fast your company will grow. The solution that you pick must be fully scalable so that you could manage any fluctuations in the workload. Each call center software offers their own set of features. The bulk of call center functions is always the same; as to the rest, it’s very individual. To make the right choice, you must know what features are essential specifically for you. For example, if you want to provide an inbound support only, you might not have to use super-efficient auto dialer, but you surely need a flexible IVR. The simplicity of installation is very important. Some call center apps require complicated deployment of multiple desktop applications whereas others are plug-and-play solutions. Before you buy one, make sure you won’t have to hire the entire IT department and spend months only to install and test it for your SMB. Also, it’s better to go for something more or less user-friendly; otherwise, you’ll have to invest in agent training sessions. In this scenario, you are the customer. Mind that your future vendor will be your consultant and technician for as long as you’ll be using their software. Pay attention to the way the sales treat you. Are they polite and helpful? Are they willing to go an extra mile to explain things you don’t understand? Also, try to find out if they provide a good technical support. You’ll need them to be responsive and efficient in case some unexpected issue strikes. The price should not be your primary concern because, at the end of the day, you get what you pay for. If the money will be the biggest issue, you’ll probably exclude most good vendors from your list. Of course, it’s the real world, and there’s nothing bad in trying to lead a cost-effective business. However, you should be aware that price equals functionality and support options. Make sure you don’t compromise quality to a smaller paycheck. Don’t buy anything unless you try it. Every respectful software development company provides a free trial, and it’s the opportunity you shouldn’t disregard. Test it, ask your agents to play out different scenarios, see how software reacts to the large call volumes, how it transfers calls, how it runs reports, etc. Ideally, you should check everything that software has to offer. It may seem like a big headache at first, but it will eventually pay off. 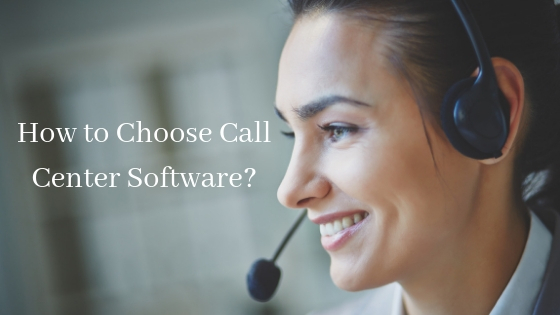 If you spend a little more time picking the right call center software and consider all the factors discussed in this post, you’ll make a smart choice. Good luck!